In Back To School season market is full of Journals and Notebooks. I love to buy decorative Journals but I also have some Journals which are very pretty in color but looks very plain. I decided to give some of these a new look in less time. 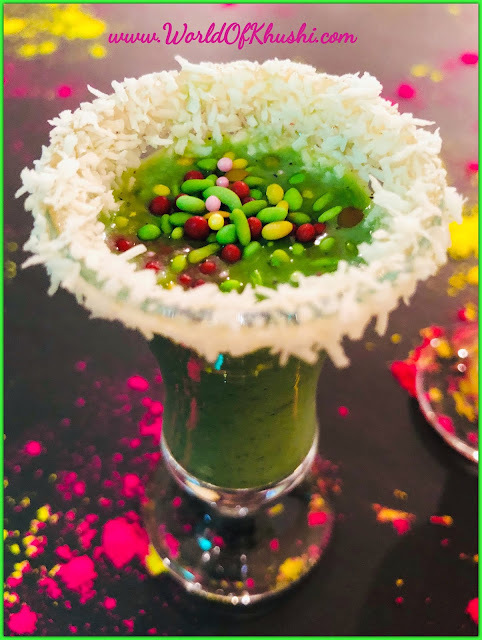 If you are following Khushi's World for a while you know how much I love 2 minute DIY. 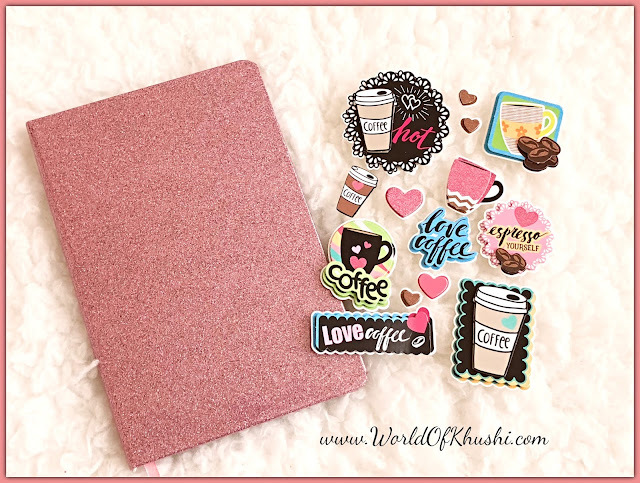 In today's post, we are sharing DIY 3D-Sticker Journal. This DIY only takes 2 minutes to make, frankly, you don't need to do much, very easy. 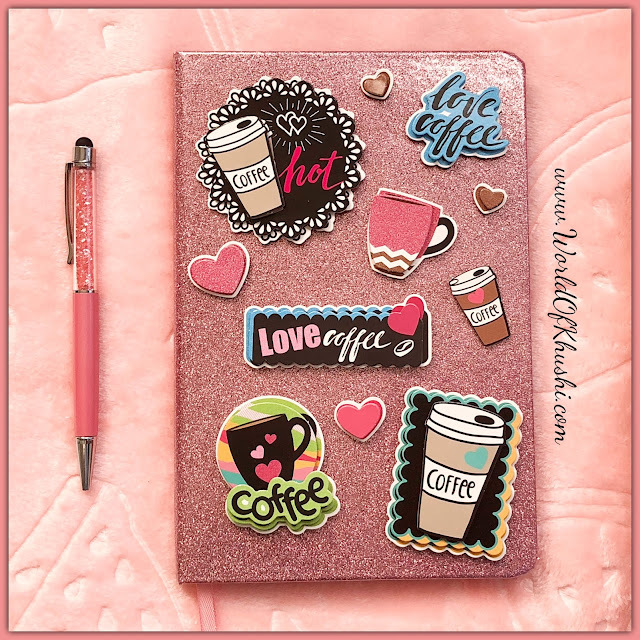 Here I am making my Journal inspired by Coffee Theme that's why using Coffee based Stickers. You can use any sticker of your choice. Let's see how to make it!! Step 1. Decide where you want to stick the Stickers. Place the 3D-Sticker on the Journal to get an idea of how it will look. Step 2. Once you confirm, just stick the 3D-Stickers randomly all over the Journal. Your pretty 3D-Sticker Journal is ready! Note:- With the same process you can change the look of any Journal, Notebook or Diary. I love using this Journal on the side of my Coffee Table. It goes with the theme. You can totally customize it according to your choice. Make as many as you want. Do try this DIY and let us know your feedback!